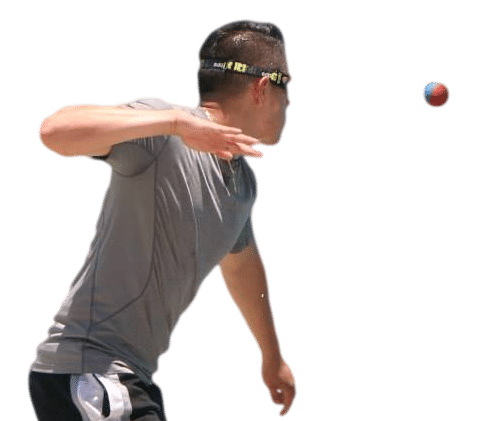 Tucson, AZ, WPH Press, 6/6/17- WPH Outdoor concluded its fifth ranking event of the 2017 WPH Outdoor 6 season, with Juan Santos picking up his 13th WPH Outdoor singles title and slamming the doubles with Alfredo Morales. 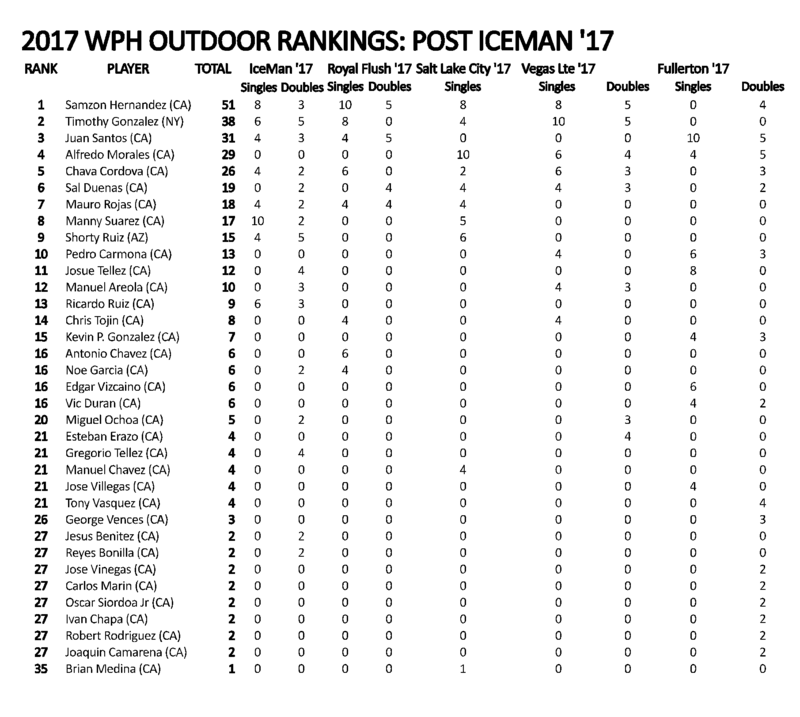 Despite playing in just three of the five WPH Outdoor events this season, Santos skyrocketed into the #3 position in the rankings, just behind New York’s #2 Timbo Gonzalez and Hawthorne’s #1 Samzon Hernandez. Despite losing in his opening round of singles, Hernandez stretched his ranking points lead by advancing to the doubles final in Fullerton and Gonzalez not playing in Fullerton. Salt Lake City Aces WPH Outdoor singles champion Alfredo moved into the “Fab 4” for the first time this season after winning the Fullerton doubles, while Fullerton singles and doubles semifinalist Pedro “Hershey” Carmona climbed into the top 10 for the first time in his WPH Outdoor career. Check out the full WPH Outdoor 6 rankings below.